Disc Filters can be produced one layer in disc, square, ellipse, rectangle, circle with hole in the middle shape. 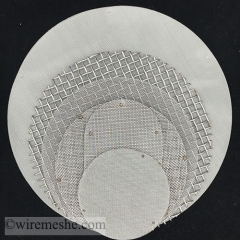 AISI 304-316 grade stainless steel wires mesh are used as material. Sizes can be from 10mm up to 900mm diameter.